Protect workers and equipment from falling items with WireCrafters RackBack pallet rack backing panels. 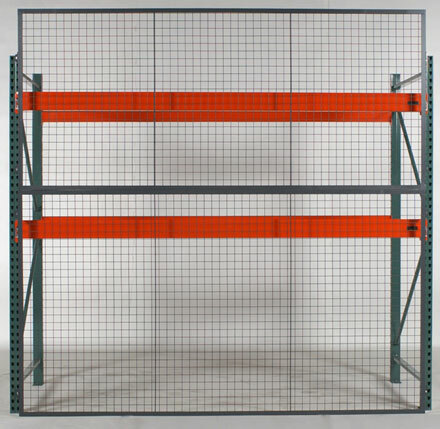 RackBack wire mesh panels bolt directly to the back of your existing pallet rack uprights creating a sturdy barrier between stored items and the ground below. RackBack pallet rack backing panels prevent spillage, while also stopping items from falling into aisle ways. 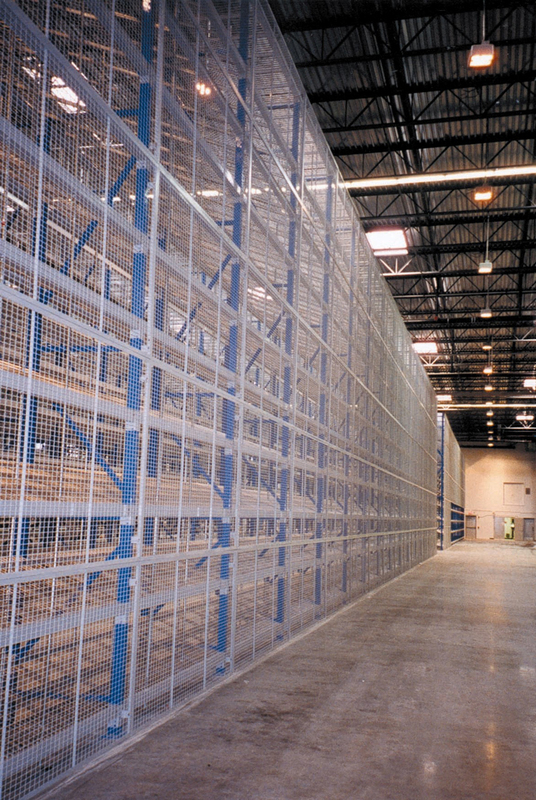 The durable all welded angle frame wire mesh panels give constant protection from falling items. 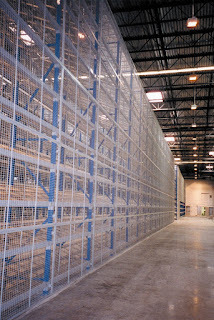 RackBack pallet rack backing panels prevent spillage, while also stopping items from falling into aisle ways, therefore protecting personnel while containing inventory. Quick and easy to install, the WireCrafters RackBack panels provide additional safety and secure stored items from accidental falling or shifting. The RackBack Pallet Rack Backing System is made of 2" x 2" x 10" gauge steel welded wire mesh, welded into a 1 1/4" x 1 1/4" x 13 gauge steel angle frame. Panels have pre-drilled mounting holes on six inch centers and are provided with flush mount or offset brackets to allow for pallets that overhang the beams.